As an avid fan of the Olympics, even if not so much track and field, I was glad for the chance to read Sanya Richard-Ross's autobiography. I really knew very little about her beforehand, but she covers everything from her childhood to her retirement before the 2016 Olympics in Rio. Sanya was a fast-rising track star in Jamaica before her family realized they would have more opportunities if they immigrated to the United States. The Richards family settled in Florida, and Sanya ran her way through school and on to her collegiate career at the University of Texas. I especially enjoyed the parts about the three Olympics at which Sanya competed - Athens in 2004, Beijing in 2008, and London in 2012. She goes into details like who always travels with her, what her race day routine is like, etc. One of the things to which Sanya credits her success is surrounding herself with a good group of coaches and supporters. I liked this quote from Chapter 10: "In the end, it won't be the medals or the promotions that mean the most; it will be the people and the memories you create along the way." The most heartbreaking portion of Sanya's story comes in 2008, when shortly before the Beijing Games she found out she was pregnant. She chose to have an abortion literally days before flying to China for the competition, and was still suffering the physical effects during her disappointing 400m race there. Sanya does not glorify this choice, and she talks about how it has affected other parts of her life, including her marriage. It does seem that in seeking spiritual healing for this devastating time Sanya really and truly encountered God's love for her. It was after this part of the book that the spiritual insights seemed to become deeper and more authentic. Another part that spoke to me was towards the end, as Sanya was dealing with injuries and having to consider retirement. 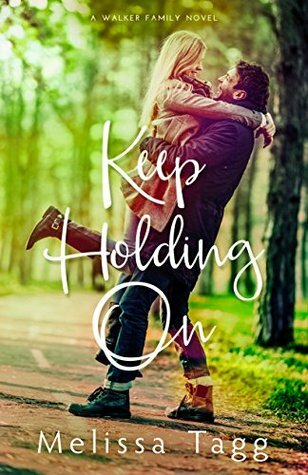 "Just taking the next step, I realized, is an act of hope as you trust God to see you through," she said in Chapter 13. That could apply to all uncertain times we find ourselves in. I would recommend this book for anyone who enjoys reading about athletes - their story, their faith, the way our lives are similar or different. Thank you to the publisher for my copy of the book. All opinions in this review are my own. 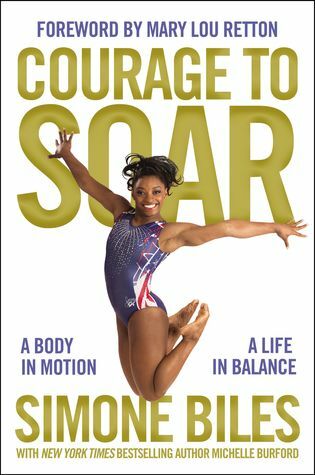 I was thrilled to have the chance to review this autobiography by Simone Biles, the darling of the 2016 Rio Olympics. While many might not have known who Simone was at the start of the Games, certainly everyone knew who she was afterwards! Winner of five medals, four of which were gold, Simone broke records and shone in the spotlight. Now we have the opportunity to read the story of her life in her own words. Simone starts with her earliest memories of life with her birth mother, and talks extensively about the transition to being adopted by her maternal grandparents, who gave her a home full of love and stability. She tells about how she was first introduced to gymnastics through a daycare field trip and immediately fell in love with tumbling as an outlet for her unusual amount of energy. When her parents enrolled her in classes she caught the attention of the coaches from the very first day. Her natural gifts were evident even though she was getting a "late start" to formal training, at age 6. With her abilities she soon caught up and passed the other girls her age with the skills she was able to perform. I enjoyed learning about Simone's relationship with her coach, Aimee Boorman, and also about all her parents did to support Simone's growing dreams as she advanced in the sport. Simone talks openly about times she struggled with attitude and how she agonized over certain decisions regarding her education. She discusses the times she failed and the times she succeeded, each one shaping her character and career in its own way. Simone's Catholic faith has also played a huge part in her life. In the telling of her life story there is a great balance of honesty, humor, and humility. Once I got to the part of the book about Simone's senior gymnastics career, I read the rest of the book in one sitting. It was so exciting to read her perspective of events I'd watched on television, including all the way up her crowning achievements in Rio. I wanted to know what Simone thought about Martha Karolyi and the other Final Five gymnasts, and she did not disappoint or skimp on the details. I would highly recommend this book to all gymnasts or gymnastics fans. It's a great look at the hard work at sacrifices that this sport requires, as well as the fun and glory of success. As someone who has made her place in history, Simone's story will attract readers for many years to come. Special thanks to Michelle Burford for helping make this book a reality. Thank you to the publisher for my copy of this book. All opinions in this review are my own. As a huge fan of the Olympic Games, I've watched David Boudia dive for Team USA since 2008 and was so excited for him when he won gold in 2012. At that time I didn't know about his faith in Jesus Christ, and now I'm even more of a fan after getting a glimpse into his heart these past couple weeks, both with things he has said at the ongoing Rio Olympics and from the pages of this book. In this easy-to-read memoir, Boudia tells about his active childhood, his natural competitiveness with his older sisters, and how his parents decided to get him into athletics to find a good use for his abundant energy. At first they put him in gymnastics, and it was through that training that David first began dreaming of being an Olympian. Then it was diving that captured his heart, and his goals changed. He still wanted to reach the Olympics, but this time as a diver. David gives us insight into the technical side of diving as he tells his story. He breaks down dives and talks about training methods. When discussing his appearances at both the Beijing and London Olympics, he shares what it is like to march in the Opening Ceremony, to stay in the Olympic village, and the training you go through at off-site facilities while waiting for your event to arrive. He tells about personal decisions he made, such as where he attended college and when he eventually turned professional in his sport. With tasteful honesty, David shares about how his passion and drive did not always lead him to positive things. He sought after fame and fortune, thinking they would bring him happiness. He had some substance abuse issues with marijuana and alcohol, and confesses that he struggled with smoking cigarettes for a long time. As he became a world class athlete he thought he would begin to feel fulfilled, but instead after achieving his goal to become an Olympian and then having a disappointing competition in Beijing, David actually began contemplating suicide because of the extreme emptiness inside of him. It was after opening up about his struggles to his coach Adam Soldati that David was introduced to Jesus Christ, and from that day forward his life was changed. As he immersed himself into God's Word and found answers to his questions, his focus and drive shifted from how he could gain fame and love for himself to how he could love others and bring glory to God. He now sees diving as an outlet to proclaim Christ and exalt Him through the abilities and talents which were given to him. David Boudia is not a mainstream Christian. He's someone totally sold out for the Lord who is willing to use his life, the lows as well as the highs, to point others to Jesus. He is the first to admit that he still has struggles in various ways, and the fame he achieved by winning a gold medal was not the wonderful thing he dreamed it would be. By far the most fulfilling thing is living for God and trusting that He is using every circumstance to make His children more like Jesus. Filled with Scripture and written with grace and tact that makes this a great read for teenagers and adults, I would recommend this book for all believers and Olympic fans. 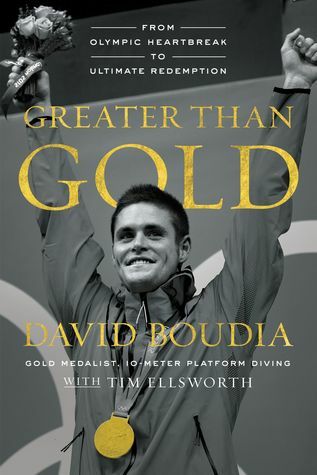 Watch David Boudia speak himself about why he wrote this book in the video below. I received my copy of this book from the publisher in exchange for this honest review. All opinions are my own. Thanks to the participation of Olympic ice dancers Meryl Davis and Charlie White, I watched my first episode of Dancing With the Stars last year. This happened to be the same season that Candace Cameron Bure was competing, and when my friend (and DWTS fan) Robin recommended Candace's book reflecting on her time on the show, I decided to check it out. I'm glad I did! Candace writes with candor and courage about what she learned during the 10 weeks of competing on DWTS. As a born-again Christian, Candace wanted to shine for the Lord and stay true to her identity as a child of the King. It wasn't easy, though. Obviously it was a physically challenging endeavor that only got harder the farther she advanced on the show, but spiritually and emotionally she was faced with things like confronting her fear of man, the need to be perfect, and even pushback from other Christians who felt she didn't live up to their standards of what a Christian should do or be. I really loved the format of this book. Candace devotes one chapter for every week of competition, and talks about the process of learning each dance and things that were particularly enjoyable or difficult that week. She talks about what she was facing internally, and then turns it around and lays out a practical application for herself and us readers to take home to our real lives. I didn't find Candace's style preachy (I have to admit I was a little worried about this at first! ), and really got a lot out of what she shared. My two favorite chapters were "All Grace and No Truth" and "In His Image." In the former Candace discusses what it is like when people only tell you things you want to hear. In the end it doesn't do anyone any good. We desperately need grace, but we also need truth to help us grow better. The chapter titled "In His Image" focuses on how Candace went through a little crisis about 'owning' her womanhood. Being a woman is a gift from God, and makes us uniquely different from men. So many things about the beauty of womanhood have been twisted by the world, but we still have room to make a stand for Godly womanhood. It will look a little different for every woman because God has given each of us different personalities and talents, but we shouldn't be afraid to be who we are because God is the One who made us that way! 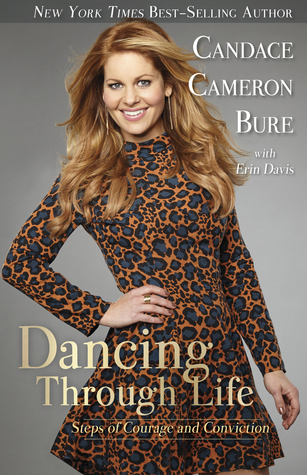 If you enjoyed watching Candace on DWTS, I really feel like you'd enjoy this book. It's entertaining, convicting, and encouraging all at the same time. "The Sound of Music" has been part of my life for as long as I can remember. I recall watching it with cousins and friends on different occasions before I was 10 years old. I love the songs and the story and the scenery and the sets. This year "The Sound of Music" celebrated the 50th anniversary of its theatrical release, and in April my sister and I were able to see it on the big screen - a most delightful experience that made the film come alive in new ways. I was at a used bookstore in early August and when I came across this book I knew it was coming home with me. 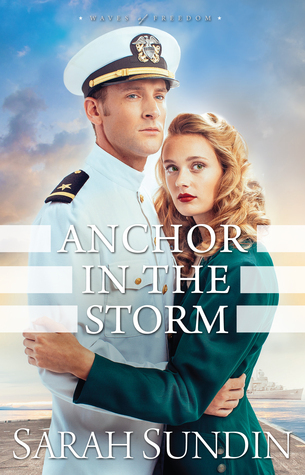 Charmian Carr, who played Liesl, gives us an insider view on the filming of this classic movie. She talks about how she landed the audition unexpectedly (she wasn't an actress and had no aspirations to become one! ), what it was like working with Julie Andrews and Christopher Plummer, and how filming was split between a Los Angeles sound stage and on set in the beautiful Austrian countryside. She shares letters from fans about how "The Sound of Music" has touched their lives, and Charmian talks much about how the film changed her life - how she traveled for years promoting the movie all over the world, and how the relationships with some of the cast and crew remain strong to this day. Along with a complete recounting of the events surrounding the film, Charmian shares her life story with sensitivity and grace. She came from a troubled home, but she and her sisters all overcame to have strong, thriving lives despite that challenge. She talks about how being recognized as Liesl all over the world was at times a burden, a second personality she could never escape, even though she had a tremendous amount of gratitude for every door "The Sound of Music" had opened for her. She writes about her marriage, her children, and her eventual career as an interior designer, including the time she spent getting to know Michael Jackson and decorating his estate. Some of my favorite parts of this memoir were when she talked about meeting the actual von Trapp family members and forging friendships with them many years after the film had released. During filming in 1964 the actors didn't really meet the von Trapps, but as reunions and special events brought the actors and the family together over the years, a connection formed between them all. Charmian gives plenty of space for talking about each of her "siblings" for the film: Nicholas Hammond, Heather Menzies, Duane Chase, Angela Cartwright, Debbie Turner, and Kym Karath. Each one gets to share favorite memories and gets to tell about where the years have taken them. They have remained a close-knit bunch for half a century, bound together by their experiences on set. 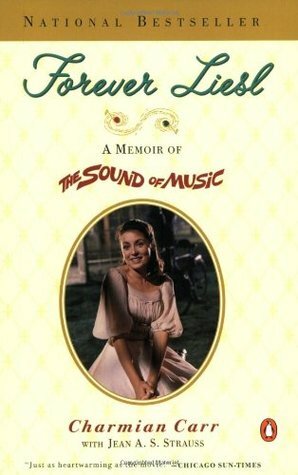 Anyone who enjoys "The Sound of Music" would love this book. I've barely scratched the surface describing things it contained, as it is rich with details and anecdotes. I will certainly be watching the film again soon now that I've gotten to see it through "Liesl's" eyes, and this is my invitation for you to come along with me. 2012 held so many good books. This was a hard list to compile. Please click on any of the titles below to read my original review! Fans of Downton Abbey will love this story. 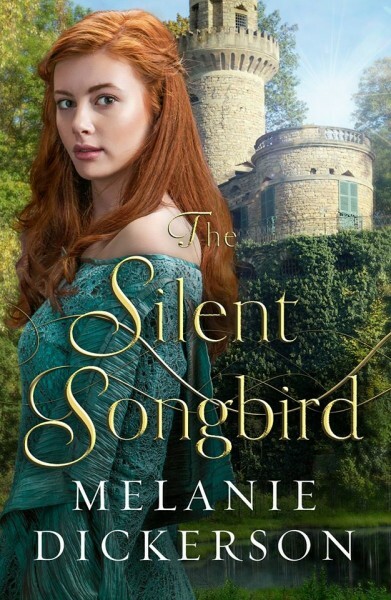 The wealthy Margaret Macy must pretend to be a lowly housemaid to avoid the unscrupulous man her stepfather plans to force her to marry. Brielle Matthews is frozen with fear and grief after her best friend's murder. She slowly becomes aware of the spiritual battle around her, angels and demons in combat over the souls of men. Amazing. Although this is actually a young adult title, it was the best of all the contemporary setting books I read. Natalia is 17 and her father is divorcing for the third time. 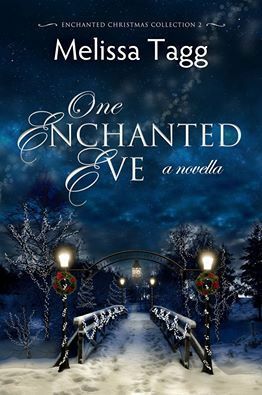 Deciding to leave her home in Spain to go with her stepmother to Florida, she must adjust to a new country, new friends, and a new school, as well as all the decisions reaching adulthood brings. The Ice Queen, Kate Pepper, is devoted to her life of business. Her world is shattered when she begins having visions, sparked by contact with water, of a Living God who desires a personal relationship with her. The imagery in this novel is outstanding! A finalist on Season 8 of "American Idol," Scott is a musician who was born blind. This is primarily the story of his struggle with kidney failure and the road God took him on to overcome many obstacles in order to fulfill his dreams. I would recommend this book for everyone! This was an Austen I'd never read, and was truly a treat for this longtime fan. 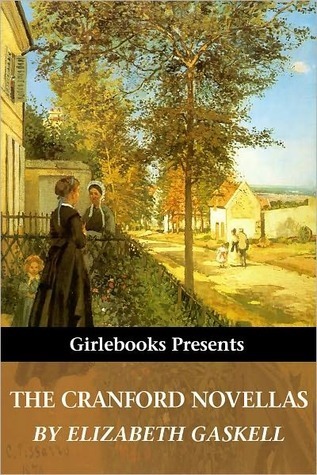 I thought the author who finished it did a fantastic job and gave a wonderful gift to Janeites all over the world. America was introduced to Scott MacIntyre in 2009, when he was a contestant on Season 8 of "American Idol". The show portrayed him as a blind guy who loved music and gave performing a shot; or at least that's how I remember it. What viewers did not realize was that Scott had a rich and amazing background that included both triumph and tragedy. He had already lived abroad studying music and been honored at the White House for his success, but he had also very nearly lost his music and his life in a battle with kidney failure. Scott was born without eysight, except for a tiny pinhole of vision that allows him to see things such as color contrasts. Music captured his attention from the time he was a toddler, and when he was 3 years old he began playing by ear. Soon writing his own arrangements, composing, and playing professionally followed. Faith in God was also a big part of Scott's life and it is clear that faith and family were his anchors. Scott's parents, and especially his mother, are to be commended for raising all of their children to follow their dreams. His mother found ways to put Scott in safe environments so that he could take up things like running and biking, and even community events like youth musical theatre. She homeschooled him with such excellence that he was accepted into Arizona State University at age 14. After years of putting full use to resources available to her, she had no qualms about sending her son to live alone in England to study music, and the love and support of his parents helped put Scott on a path to fulfill the desires God had placed on his heart. Wow! I would like to be a mother like Carol MacIntyre someday! This book is not written chronologically, but maintains a steady timeline from 2005 until 2009, while jumping back to portray different histories and stories throughout Scott's childhood. The writing style was absolutely fabulous. While I know some credit goes to Jennifer Schuchmann as co-author, it is clear that God has given Scott a way with words. I hope this won't be the only book he writes! I would recommend this book to anyone. Mothers, teeangers, dreamers, music fans... anyone who wants to take up their talents and see them used for God. This was a captivating true story, full of the honesty of health struggles, the thrilling joy of doing exactly what you know God wants you to do, and the knowledge that through God all things are possible. We can't see what is ahead, but we can trust that He does, and that it is good. Life is not all dreams come true, but even in the darkest hours God is with us. A truly inspirational message very needed today! I received this book from BookSneeze in exchange for my honest review. All opinions are my own. This book looks amazing! My father and brothers all love military tales, and anyone who truly makes a difference in this world is someone that I want to know about. This book comes out on May 22 and you will find me among those looking to get my hands on a copy. You can already read the first chapter at this link. May God grant us many women who will rise up to the higher callings that He has for us! Abby Johnson was in college when she started volunteering at Planned Parenthood. She believed what they told her, that by focusing on women's health and affordable contraceptives they could decrease the number of abortions. That was her goal. She always felt sad when a client chose to abort her child but Abby did not see their choice as her responsibility or as going against her faith in God, even as she rose to be the director of her clinic. She herself did not have a spotless past, and she believed that as long as she had taken care of the health of these women then she had fulfilled the cause of Planned Parenthood . 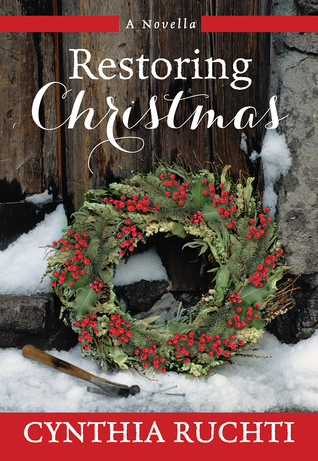 Through the drawing of God and the love of her "enemies" (the Coalition for Life which was right around the corner), Abby began to rethink her choices from the past several years. On the day she was called in to actually assist with an ultrasound-guided abortion, her world and worldview shifted drastically. This is her story, from a naive student to a pro-life advocate. I found it interesting and very gripping, having a very hard time putting the book down as everything unfolded. I was very impressed at how Abby stressed that it was love that won her over, love that supported her, and love that keeps her going. Love from God and the love that God enables us to have for others. That is truly inspirational! Thank you to GoodReads First-Reads for my copy of this book! All opinions in this review are my own. Albert Pujols caught my eye, along with attention from the rest of the world, even from his rookie season in 2001. Living in the TV market of the St. Louis Cardinals, I heard plenty about this unheralded newcomer and saw for myself that he had potential to become a force for the Redbirds. No one knew then that within a decade he'd be heralded as the league's best player. Maybe the best to ever play the game of baseball. Pujols was born and raised in the Dominican Republic, immigrating to the United States when he was 16. Lamb & Ellsworth chronicle the journey from his sobering childhood all the way through the end of the 2010 MLB season. They share how his faith has grown from the young adult who accepted Christ as his Savior to the man who witnesses during ballgames and leads missions trips to his native country. He and his wife Dee Dee are the force behind the Pujols Family Foundation, which is dedicated to helping families of Down Syndrome children and adults, as well as reaching into the Dominican Republic to help with medical needs and the sharing of the gospel of Jesus Christ. Baseball nuts will love all the statistics included within the book. I love baseball but I found myself a little bogged down here and there when every at-bat of certain games were detailed. Or when they would tell us something like “in the second month of the season Pujols was tied for the home run lead”. In a 162-game season that was seven years ago, why does that stat matter? But once you get past those technical points and get to the real meat of the matter, which as Albert himself would say is his faith and his testimony, that's where this story becomes deep and compelling. In a world where not many can be looked up to as heroes, I believe Albert Pujols stands head and shoulders above the crowd. His love for the Lord and for his family is inspiring. The fact that he actively tries to glorify God in everything he does makes him someone I admire. He is not perfect, but he seeks the better path: to humbly serve those around him. Well done, Albert. May God grant him strength and wisdom as he lives the rest of his life story!